Our newsletter is the best way keep up with the latest developments in the workforce! Sign up below for updates on how Workforce and the community are improving day by day. Workforce Solutions partnered with the University of Texas Rio Grande Valley (UTRGV) to host the Careers in Texas Industries Youth Career Expo on October 1, 2018 at the Field House on the UTRGV Edinburg Campus. The expo officially kick-off UTRGV’s nationally recognized HESTEC (Hispanic Engineering, Science and Technology) week. Over 3,500 students representing 22 school districts attended the expo. In addition to visiting over 100 exhibits focusing on careers and post-secondary education, youth had the opportunity to tour the UTRGV campus and/or the newly built UTRGV School of Medicine (SOM). 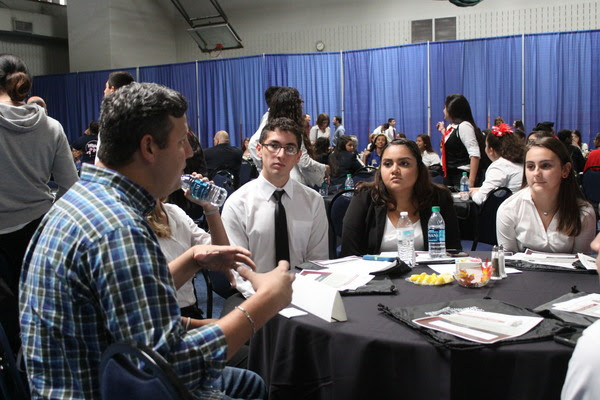 The luncheon was held simultaneously as the Youth Expo on October 1, 2018. The “Power Luncheon” was held at Field House II on the UTRGV Edinburg Campus as part of the RGV LEAD’s Student Ambassador planning meeting. Over 400 student ambassadors, ranging in grades from freshman to seniors from over 15 school districts attended the planning meeting and luncheon. The “Power Luncheon” portion of the meeting had over 40 employer and post-secondary representatives attend. Each representative was seated at a table with 8-10 student ambassadors. This format allowed youth to interact with business professionals for career exploration and aided in the honing of student’s communication skills. October 2, 2018 through October 4, 2018, Workforce Solutions hosted a booth during UTRGV’s STEAM Expo. The event attracted 1,000 middle school students from across the area each day. Workforce Solutions utilized Texas Workforce Commission Career Selfie Boards, to share local labor market information with youth attending the event. 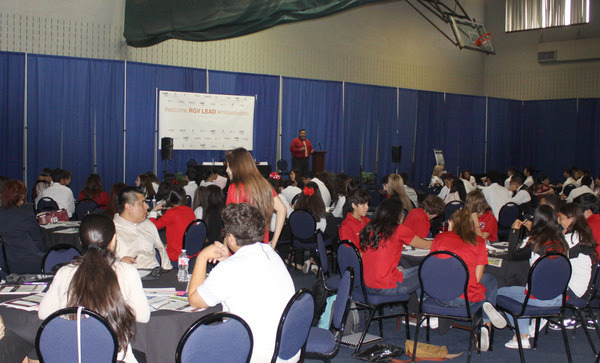 The 2018 Women in Business Conference & Expo hosted by Workforce Solutions in collaboration with Mission Economic Development Corporation (Mission EDC), the University of Texas Rio Grande Valley Small Business Development Center (UTRGV SBDC), and the Women’s Business Center of Cameron County was held on October 11, 2018 at the Mission Event Center, Mission, TX. The event focused on providing female entrepreneurs with information and the resources necessary to help with becoming a successful entrepreneur. A variety of talented professionals contributed their knowledge and expertise including the Texas Workforce Commission Chair and Commissioner Representing Employers, Ruth R. Hughs. Chair Hughs delivered a special keynote address providing an overview of the variety of resources available for business owners. The conference consisted of four tracks customized with subject matter experts who provided information to those who have yet to start their business (pre-venture), current business owners, information on staffing and human resource management and a track especially for Spanish speakers. There were a total of 12 breakout sessions. In addition, onsite child care was available at no cost. The conference included an expo and networking component where 27 local female entrepreneurs participated as exhibitors and displayed their products. Throughout the day, approximately 220 female entrepreneurs, presenters and exhibitors participated in the 2018 Women in Business Conference & Expo. Each year, the Texas Workforce Commission provides Board Incentive Awards to recognize the outstanding work boards are doing in their service areas. 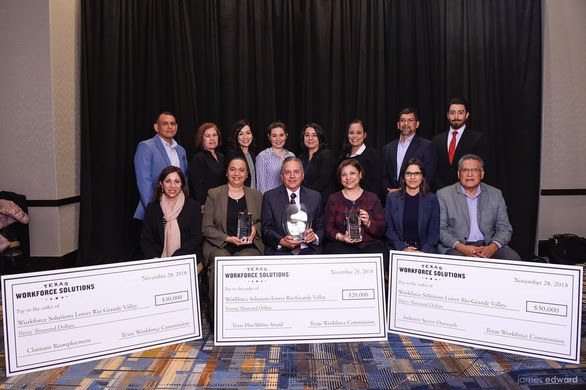 On November 28, 2018, Workforce Solutions was recognized at the Annual Texas Workforce Conference for its exceptional efforts for FY 2018. Workforce Solutions was awarded a combined total of $80,000 for program performance and community initiatives. Such recognition is possible with the continued support of the Workforce Solutions Board of Directors, community partners, and stakeholders. Hiring Red, White and You! The job fair is part of a statewide initiative spearheaded by the Texas Workforce Commission and the Texas Veterans Commission in partnership with the 28 local workforce development boards across the state. The Hiring Red, White and You! 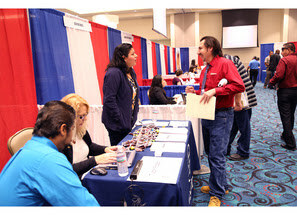 job fair was hosted on November 8, 2018, at the Mission Event Center in Mission, Texas. The event connects veterans with employers who value the skills and experience only a veteran can bring to the workplace. 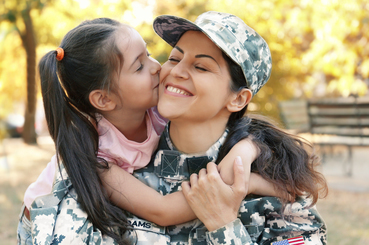 Workforce Solutions is proud to provide priority of service to veterans. Workforce Solutions, in partnership with RGV LEAD, hosted the Regional Education and Workforce Summit on December 6 - 7, 2018, at the Hilton Garden Inn in South Padre Island, TX. The conference provided regional leaders representing business, area school districts, institutions of higher education, students, and community stakeholders an opportunity to discuss the necessity of aligning education and business to develop the skills of our workforce. For the most accurate information, please visit our Calendar of Events! Copyright © 2018 Workforce Solutions - Lower Rio Grande Valley, All rights reserved. Workforce Solutions is one of 28 Texas Workforce Development Boards serving Hidalgo, Starr, and Willacy counties. Lower Rio Grande Valley Workforce Development Board dba Workforce Solutions is an equal opportunity employer/program and auxiliary aids and services are available upon request to include individuals with disabilities. TTY/TDD via RELAY Texas service at 711 or (TDD) 1-800-735-2989/1-800-735-2988 (voice). Earlier this year, Workforce Solutions partnered with South Texas College (STC) and McAllen Economic Development Corporation (MEDC) to submit a $71,500 High Demand Training (HDJT) Grant to the Texas Workforce Commission (TWC). Fortunately for our community, the grant was approved! The project will train 60 incumbent and new workers in Industrial Maintenance and Industrial Robotic Automation. Industrial Maintenance and Industrial Robotic Automation are valuable in the manufacturing industry. The constant advances in automation serve as a pathway into the industry, which is ideal for those interested in manufacturing. In Texas, there are approximately 17,500 manufacturing firms, with 80 of those in Hidalgo County alone. These firms make up 6.9% of the workforce, employing an estimated 875,000 Texans, including 7,200 in Hidalgo county. The training for Industrial Automation and Robotics began September 10, 2018 whereas the Industrial Maintenance training is scheduled for November 12, 2018. For more information, call Workforce Solutions at 956-683-3718. In March 2018, Workforce Solutions was awarded the Texas Workforce Commission Externship for Teachers grant in the amount of $241,774 to provide 180 middle school and high school teachers and counselors from the Rio Grande Valley with externship opportunities at local employers. The externship gives teachers the opportunity gain experience in a different work enviornment that they can then incorporate into a lesson plan to share with students in the classroom. The project is in partnership with Workforce Solutions Cameron, Region One Education Service Center, MEDC, McAllen Foreign Trade Zone, and the Rio Grande Valley Linking Economic and Academic Development (RGV LEAD). The first cohort of 57 teachers representing 7 school districts completed their three week externship in June 2018. The 57 teachers were placed at 33 employer sites. The second cohort of 117 teachers representing 15 school districts completed their three day externship in July 2018. The 117 teachers were placed at 46 employer sites. A total of 174 teachers successfully completed the externship program. "We value our educators, as they help us shape the future each time they step into a classroom. This program gives us the opportunity to help teachers gain insight into various industries that we hope they can share with their students," says WFS CEO Francisco Almaraz. "We would like to thank all of the employers who graciously accepted teachers into their businesses and helped make this program a success." The 4th Annual RGV Job Fair was held on July 19, 2018 at the Pharr Events Center in Pharr, TX. 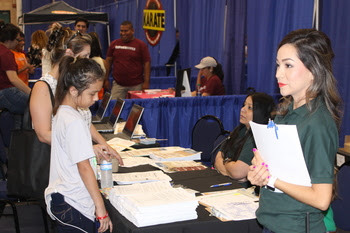 A collaborative effort between Workforce Solutions and Pharr Economic Development Corporation, the event had 70 employers and over 1,400 job seekers in attendance. Employers representing industries such as healthcare, agriculture, retail were all able to meet and interact with local job seekers. 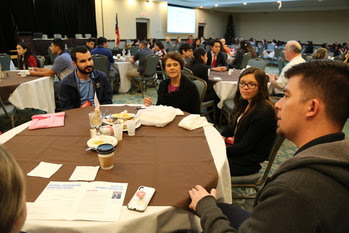 "I think it's a great opportunity because many employers get to come together under one roof and really be here for every applicant that is looking for a job," said Marie Garcia of SAM Engineering & Surveying, an employer who participated in the event. "It's a great opportunity for people who are not able to go place to place (because) they can come to one location and visit all the employers at the same time." A quick recap of our employer testimonial video can be found on our Facebook page, @WFSolutions, or by clicking here. In April 2018, Workforce Solutions received $480,000 to implement the Summer Earn and Learn Program (SEAL). The program is designed to serve 135 students with disabilities between the ages of 16-22 and provide participants a five week paid work experience and job readiness training. SEAL is a statewide initiative that provides employability skills training and paid work experience for students with disabilities. 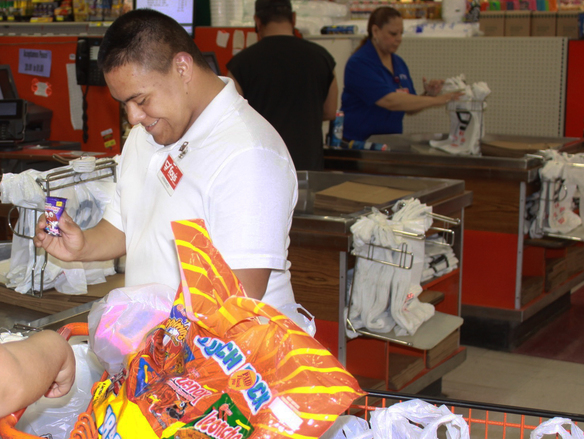 Students with disabilities can struggle to transition into the workforce, so by partnering with local employers dedicated to employing a diverse staff, our community has been able to enrich the lives of over 100 students. In 2014, more than 7,400 veterans took their own lives, accounting for 18 percent of all suicides in America. The suicide rate among women who have served in the U.S. military is more than twice as high as that of adult civilian women, according to figures released by the Department for Veteran Affairs. 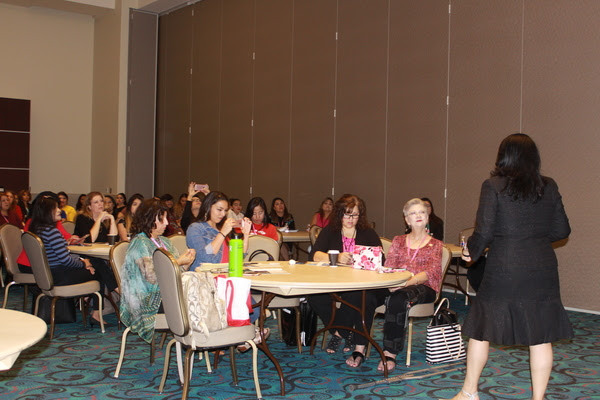 Bearing that crucial information in mind, Tropical Texas Behavioral Health partnered with Workforce Solutions to host the 3rd Annual Women Veterans Seminar on September 28 - 29, 2018. Due to the ever-changing nature of our workforce and job ecosystem, Workforce Solutions (WFS) understands that change is necessary in order to better serve our community. Within the scope of our duties lies student services, and if we further delve into that area, we find a variety of programs and services intended to help students with disabilities enter the workforce. To suit the specific needs of that audience, WFS created two Student HireAbility Navigator positions, held by Del Diaz and Jeannette Escalera. 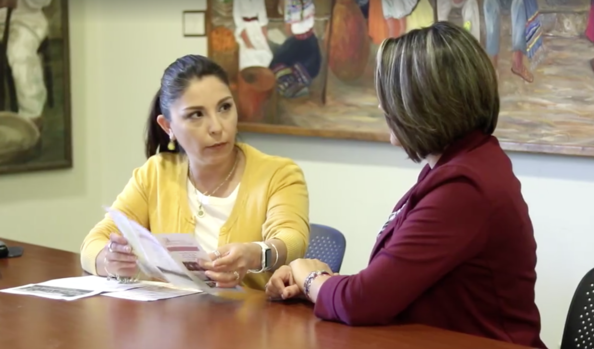 Their role is to help improve the system services and collaboration of organizations that serve students with disabilities in the Lower Rio Grande Valley service area. The Student HireAbility Navigator program will focus exclusively on services for students with disabilities who are in the early phases of preparing for transition to postsecondary education and employment. Each Student HireAbility Navigator serves as a resource in the workforce development area to support, expand, and enhance the provision of pre-employment services that are provided by VR as well as the other partners and programs in the workforce development area. The overarching goal of the activities within the three focus areas is to increase the likelihood of students' independence and inclusion in communities and competitive integrated workplaces, and their successful participation in postsecondary education experiences. Congratulations to Del and Jeannette! We look forward to the positive effect that your work will have on our community. For employment opportunities, upcoming events, and the latest WFS developments, visit us at wfsolutions.org or call us at 956-687-1121. In June, 2018, Workforce Solutions Communications Specialist, Mike Gonzalez, and Senior Business Relations Representative, Mike Willis, went live on Facebook for what we hope will grow to become a quick and useful overview of the latest labor market information (LMI) data. Social media has become a valuable tool for WFS, and with a resource like Facebook Live, we're able to broadcast relevant information to an audience of nearly 10,000 followers. Each month, Mike G. and Mike W. will break down the numbers and figures provided in the LMI so viewers in our service area can use the data to their advantage. LMI gives us the most current labor market highlights and developments across the state. The information is produced and published on a monthly basis and includes data on nonagricultural job trends, the labor force, job postings, and other relevant indicators for both the state and sub-state areas. Additional data and historical information is available on Tracer2.com. Like and follow @WFSolutions on Facebook to catch our live LMI reports! After nearly a decade of service, TWC Chairman and Commissioner Representing the Public Andres Alcantar today announced his retirement from state service effective July 31. Chairman Alcantar was appointed Commissioner by former Governor Rick Perry effective August 4, 2008. From the start, he strengthened relationships with local workforce board leaders and key stakeholders to honor local flexibility and advance innovation in service delivery. Additionally, he worked to implement customized services and promoted industry-based partnerships to meet the needs of Texas’ vast array of industries and advance the development of a strong competitive workforce. 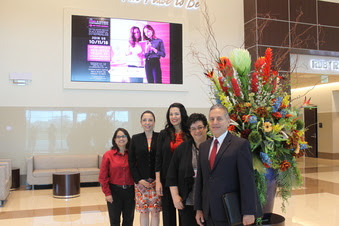 The Texas Workforce Commission (TWC) made a visit to the McAllen Convention Center on February 9, 2018 to engage with area employers, human resource professionals, business owners and managers at the Texas Business Conference. The intent behind the meeting was to inform and educate our constituents on the employment law update. The conference provided valuable information for employers and business owners concerning the legal issues associated with operating a business in Texas. Workforce Solutions facilitated the event by coordinating a Q&A session with local employers such as Spectrum and Doctors Hospital at Renaissance. The session provided employers with practical, up-to-date information for operating a successful business along with techniques to more effectively manage employees. Seminar topics included: Texas employment law and the basics of hiring; federal and Texas wage and hour laws; employee policy handbooks and many more. The Juvenile Opportunity for Better Skills (JOBS) program is designed to assist Hidalgo County at-risk youth from the Judge Mario E. Ramirez Juvenile Justice Center with opportunities to strengthen their soft skills and establish work experience. In July 2018, Workforce Solutions conducted a 16 hour job readiness training for 16 and 17 year old students who are currently being housed at the juvenile justice center. The students completed the 16 hour soft skills training in preparation for placement in a work experience job site. The program provides at-risk youth with skills and experience needed to become productive citizens upon release. "Our youth deserves to be guided toward success," says Francisco Almaraz, WFS CEO. "With programs like this one, WFS is able to serve as a beacon of light for youth whom at one point, strayed and found themselves lost. Mistakes should not define us, but rather, refine us." Each year, Workforce Solutions child care providers from across the RGV are invited to support the practice of quality child care within our community. With over 1,000 attendees across the span of two days, the 2018 Child Care Symposium was a huge success. Participants were able to engage with early childhood development experts through interactive workshops, all the while witihin an environment promoting professional networking opportunites to learn how to apply best practices in the field. Marisa E. Oliva and Albert Wright captivated audiences with knowledge earned through experience and inspiring tales that highlighted the importance having a passion for your craft. We're honored to lift up our child care providers, who play a vital role in the workforce system, and will continue to support the professional development of their invaluable skills. Workforce Solutions (WFS), under the direction of the Texas Workforce Commission (TWC), is one of 28 local workforce development boards located throughout the state. Serving Hidalgo, Willacy And Starr Counties In Texas. 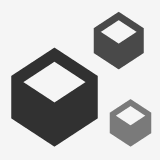 © 2014-2019 Workforce Solutions, All Rights Reserved. Equal Opportunity Is The Law, Lower Rio Grande Valley Workforce Development Board Dba Workforce Solutions Is An Equal Opportunity Employer/Program And Auxiliary Aids And Services Are Available Upon Request To Include Individuals With Disabilities. Tty/Tdd Via Relay Texas Service At 711 Or (Tdd) 1-800-735-2989/1-800-735-2988 (Voice).